Parts came promptly and fit great. Exact fit and high quality! I will use them for all of my needs from now on! Items exactly as ordered, fast shipping. Will return for future purchases. 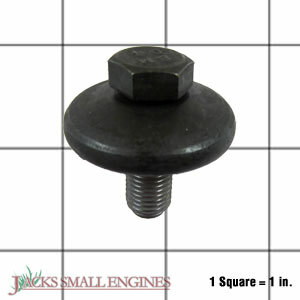 Ask us about the Husqvarna 532193003 Washer Bolt Assembly. Please no repair questions. Your Q&A may be posted to Jackssmallengines.com to help other shoppers, like you, with their purchasing decisions. Thank you.